Danielle Cohn shocked her followers on Instagram yesterday when the teenager posted an image that appeared to show she is pregnant. Danielle Cohn is one of the biggest teen stars on social media, with more than 3.2 million followers on Instagram and 1.17 million subscribers on YouTube. Her YouTube channel has recently seen a lot of activity, with Danielle regularly posting a variety of entertaining vlogs in which she features with her boyfriend Mikey Tua. She is also a singer. In March 2018, she released a music video for her single Little Like Paradise (see video below) which quickly amassed more than 2 million views. Her singing career began on the teen app Musical.ly, and after her quick rise to fame, her mom quit her job in March 2017 to mange her daughter’s career. The pair relocated from Orlando to Los Angeles. Back in September 2018, Danielle and her boyfriend celebrated their 3-month anniversary with a YouTube vlog. 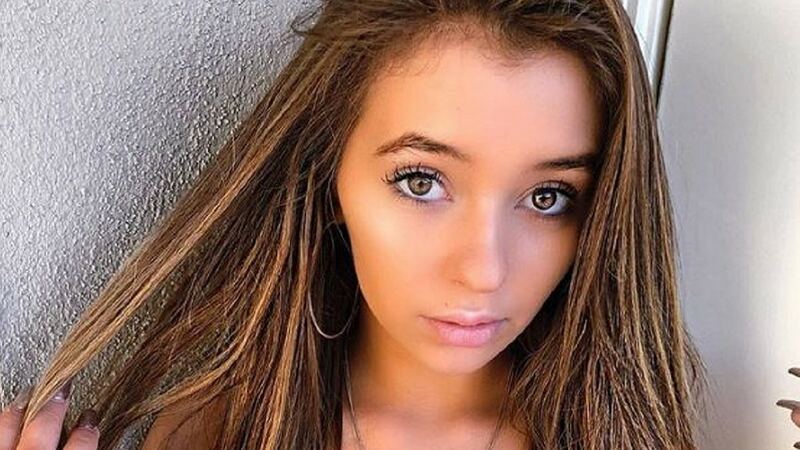 Controversy: How old is Danielle Cohn? Danielle’s fame, due mostly her social media activity, has brought her under intense scrutiny which has regularly generated controversy among those who follow her. Danielle has amassed a small army of critics, many of whom have created Instagram pages dedicated to trolling the teenage sensation and criticizing her for acting, dancing and dressing “inappropriately” on social media. As far as Danielle is concerned, her haters are motivated primarily by jealousy. One of the first controversies that grew around Danielle and which came to a head in 2018 centered on her age. Although her YouTube page listed her age in 2018 as 14 (she is now officially 15), rumors spread among her fans that she was actually just 11 years old. Several fan theories emerged (see video below) purporting to prove that she is actually three years younger than she claimed on social media. The video claims to offer evidence that Danielle was actually born in 2007 and not 2004 as she says. Her ex-boyfriend Cole Galotti claimed to have seen Danielle’s birth certificate. However, many fans think that her response does not address the issues and that it suggests she is hiding the truth about her real age. The latest image posted to her social media page which appears to show she is pregnant is bound to further deepen the controversies surrounding Danielle Cohn.